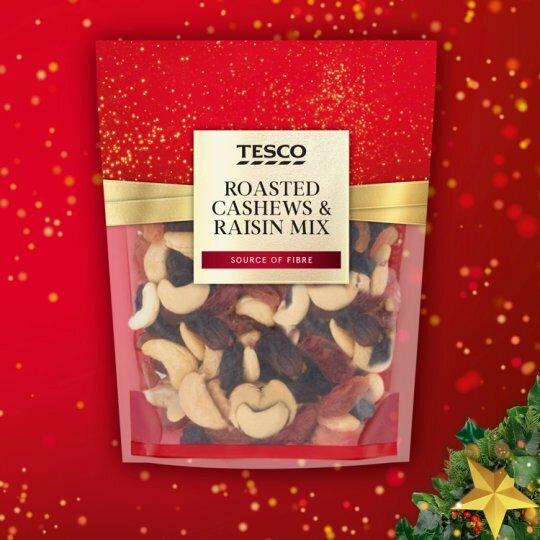 A mix of roasted cashew nuts & mixed raisins. INGREDIENTS: Roasted Cashew Nut, Crimson Raisins (30%) [Raisins, Sunflower Oil, Preservative (Sulphure Dioxide)], Flame Raisins (30%) [Raisins, Sunflower Oil]. For allergens, see ingredients in bold. May contain peanuts, other nuts, sesame seeds and soya.